Tomatoes are one of the highlights of summer. 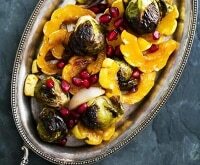 Whether you grow them in your garden or pick them up at the supermarket, they’re sure to add a fresh, zesty zing to a wide variety of dishes. No matter how you pronounce it, you have to agree: Tomatoes are the cream of the crop! Take a look at all the different varieties of tomatoes and it’s easy to feel a bit overwhelmed. 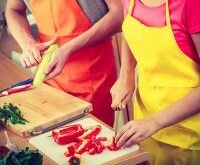 Which are best for making sauces? Which types of tomatoes should I layer in my BLT? 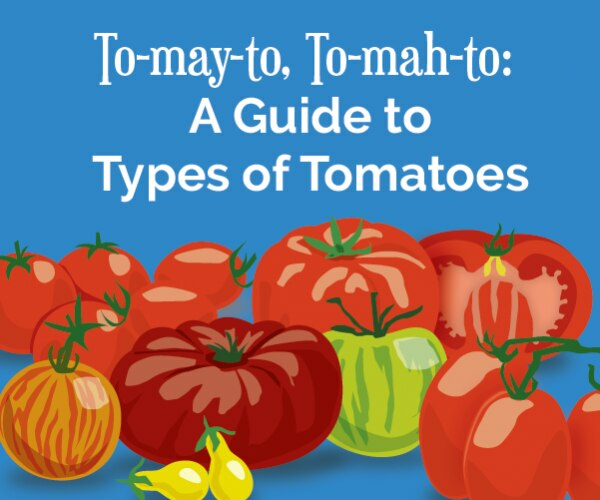 Not to worry, we’ve put together this colorful guide to types of tomatoes that will help you select the best and ripest tomatoes right off the vine or right off the shelf. 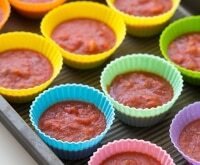 We’ve also included a few delicious, tomato-based recipes below the tips for you and your family to enjoy. While you’re planning which tomato recipes to treat yourself to, be sure to check out our grocery coupons to see where you can save! 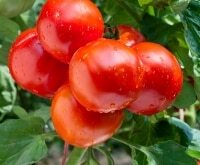 Growing your own tomatoes? Take a peek at our tomato growing guide for some quick tips to keeping your plants healthy! 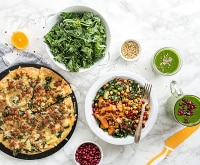 Don’t forget to try some of our other delicious tomato recipes, including 10 healthy tomato side dishes, 13 easy no-bake tomato recipes, and 8 savory tart recipes where tomatoes can be the star! 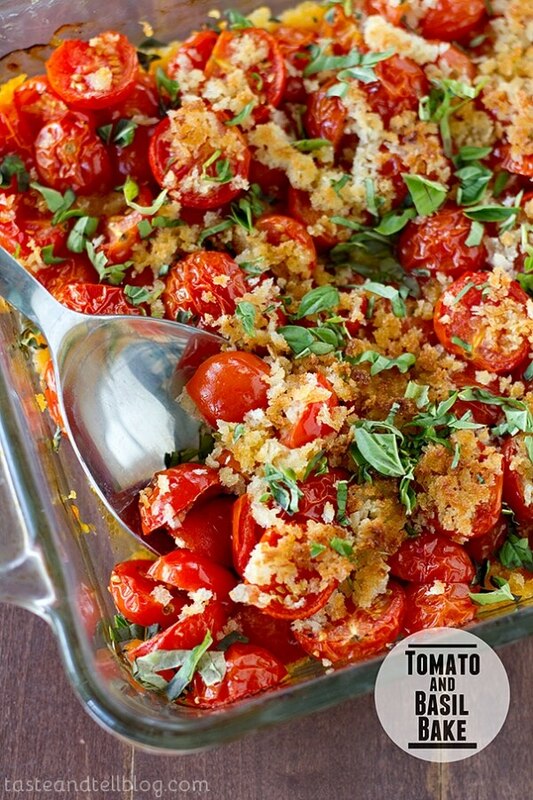 Pin it or print it out and add it to your recipe book — these tomato tips are keepers! Mix together the vinaigrette ingredients. 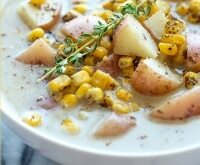 Let sit for an hour up to overnight in the refrigerator to let the flavors develop. Toss the watermelon and tomatoes with the vinaigrette. 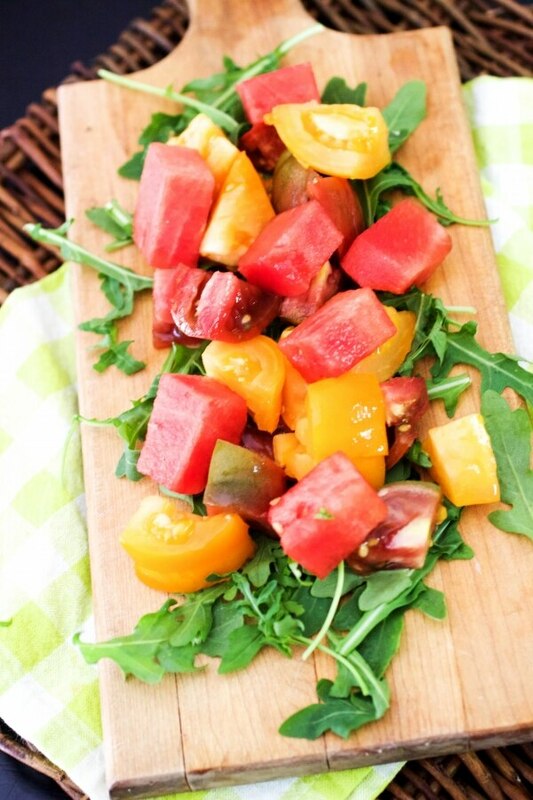 Place arugula on the plate and top with the watermelon, tomato, and vinaigrette mixture. Sprinkle with fresh basil. Place bacon in a cold, large skillet and heat over medium heat. Cook until it’s crisp, approximately 4 to 6 minutes, stirring often. Using a slotted spoon, transfer to a plate lined with paper towels to drain. Leave bacon fat in the skillet. Add bread cubes to skillet and cook over medium heat until well browned, stirring often, for 5-8 minutes. Don’t let them burn. Using a slotted spoon, transfer bread cubes to the plate with the bacon. 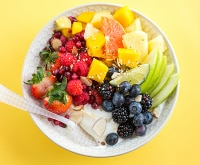 Place mayonnaise, buttermilk, and vinegar in a salad bowl and whisk to mix. Set aside. 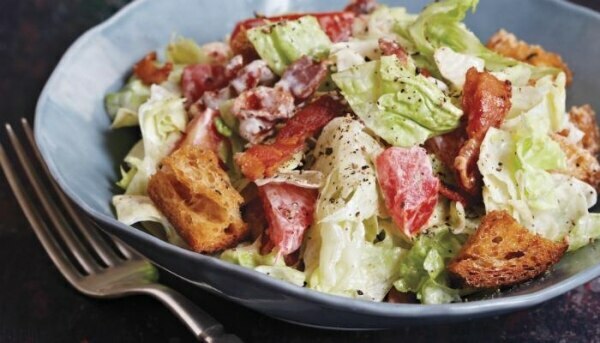 Place lettuce, tomatoes, croutons, and bacon in a large bowl. Combine onion, olive oil, balsamic vinegar, 1/4-teaspoon kosher salt, and pepper. Set aside. 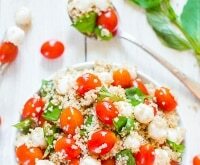 Chop tomatoes and place in a large bowl. Combine with garlic, basil, onion-balsamic combo, and additional salt and pepper to taste. Set aside and let sit at least 10 minutes up to overnight. 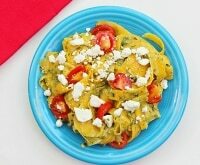 Toss in cheese when ready to serve. Season chicken with salt and fresh pepper. Grill chicken on medium-high heat, 2 minutes on each side. 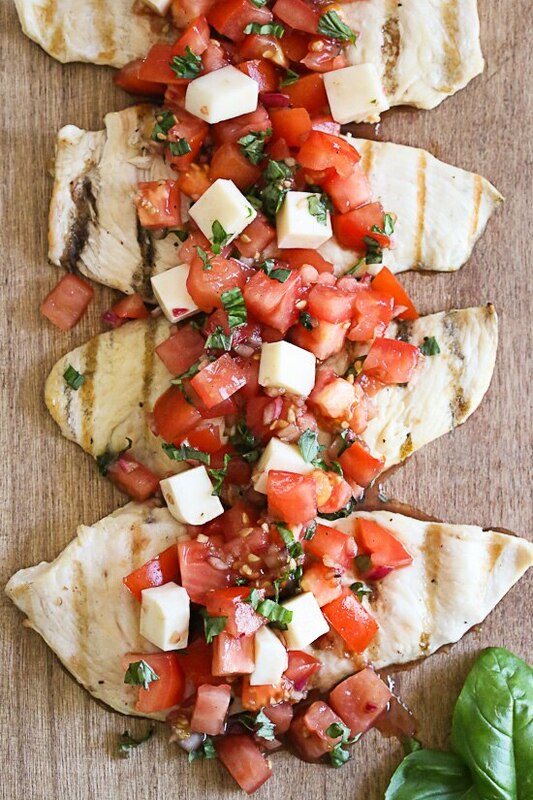 Top with bruschetta and serve. 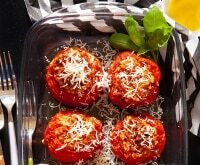 Combine tomatoes, garlic, and olive oil in an 8-inch baking dish. Season with salt and pepper. Broil, stirring occasionally, until tomatoes are softened, about 12 minutes. 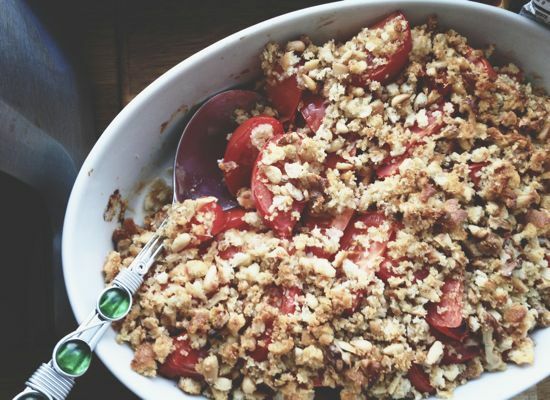 Combine breadcrumbs and butter, then sprinkle over tomatoes. Broil for 30 seconds, then sprinkle basil over the top. Serve. Grease an 8- or 9-inch baking dish with oil; heat oven to 375 degrees. Put tomato wedges in a large bowl and sprinkle with cornstarch and salt and pepper. Toss gently and let mixture sit. In another bowl, combine breadcrumbs, pecans, garlic, cheese, 3 Tablespoons of olive oil, and butter. Sprinkle with salt and pepper, and stir until thoroughly mixed. Toss tomato mixture again and transfer to baking dish. Sprinkle with breadcrumb topping. Bake until crisp is as dark as you like on top and bubbly underneath, 45-55 minutes. 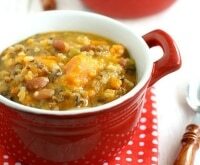 Let cool to warm or room temperature before serving.